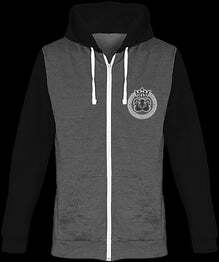 Hooded zip sweatshirt. The brushed interior is in fleece for more comfort. The zip is tone-on-tone and the seams on the kangaroo pockets are reinforced.